“Dam Witherston” by Betty Jean Craige revolves around the blackmail of the Mayor of Witherston and prominent attorneys, by an unknown woman whose relative was attacked forty years ago when all were teens. The Mayor and several of his cronies want to create a lake on top of sacred Cherokee burial grounds, the theory being that it will bring more tourists, jobs, and money into the economy. This leads to anger, threats, revenge, and murder. The author starts the book with several snippets from the local small-town newspaper referencing what was happening in town and during the investigation. I would have suggested she only provide a few to support her idea of what a small town is like, but this went on throughout the book and distracted my reading. The actual story once you got to it, was fast-paced and full of action. I found the influx of various characters in the beginning a bit overwhelming and often thought, "What is this person's role in the plot?" I found several characters well developed and many will be able to relate to them. Detective Mev Arroyo's character is very intriguing, and one can sense her fairness and resolve to investigate all the facts before making any determination, regardless of her relationship with the suspects. To be honest, I had a hard time determining the purpose of spending so much time on the characters who were the Detective’s 16-year-old twin sons. The Mayor and attorneys are your typical arrogant, money hungry individuals who instill in readers a love-hate relationship. Detailed descriptions of this small town reminded me of where I grew up; everyone knows your business and gossip runs amok. I was glad to see that Craige addressed some Cherokee history, and the battle Indians still fight today. I laughed when the town decided to take DNA tests to see what their heritage was. 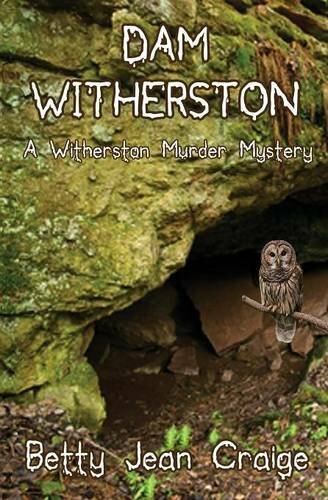 Overall, I found “Dam Witherston” by Betty Jean Craige to be an interesting mystery/thriller, once I got through all the random conversations, and characters. Fans of mystery/thriller will enjoy the investigative aspects and the action packed drama.